Even if we didn't have one of our own growing up, we are all familiar with the concept of a piggy bank: a place to put spare change we wanted to save for later. 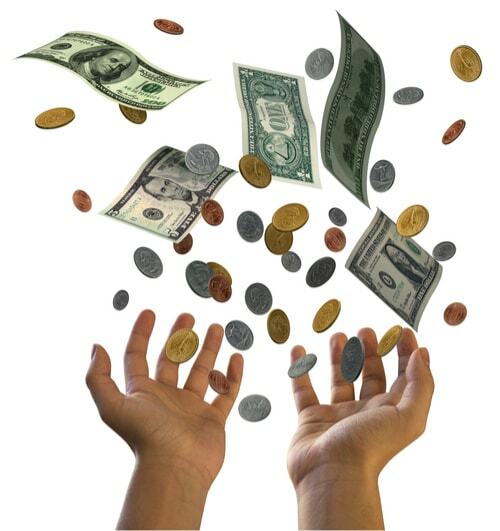 Of course, as you get older you transition into having an actual bank account, and the couple dollars you can save from your spare pennies and quarters begins to seem like a smaller and smaller amount. But even if it doesn't seem like much now, you shouldn't scoff at our nation's coins, especially the penny. This little guy has had a long and storied history that spans most of American history. Not convinced? 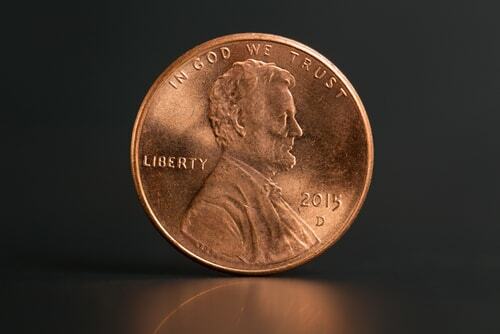 Here's everything you should know about the penny in honor of National One Cent Day. The first thing to know is that the term "penny" is actually a British term for one of their coins: the proper name for the American coin we think of as a "penny" is officially referred to as a "one cent coin." That being said, for the rest of this article, we're going to keep calling it a penny for the sake of tradition. The penny also didn't always look like it does today. The penny we're familiar with, featuring president Abraham Lincoln's image on the face of it, was first introduced in 1909. Before that, from 1789 to 1908 the penny was minted with the penny featured the profile of a Native American man's face wearing a traditional headdress. And while that is commonly thought of as the "original" penny, from 1787 to 1789 the US minted a penny that looked very different from either of the aforementioned designs. Called the "Fuego Cent," the first American one-cent coin was designed by Benjamin Franklin: one side featured the image of thirteen chain links (representing the original colonies) around the motto "We Are One," and on the other side it had a sundial above the words "Mind Your Own Business." Not only did the penny have a variety of looks throughout the past, it used to be worth more, both in terms of its composition and spending power. 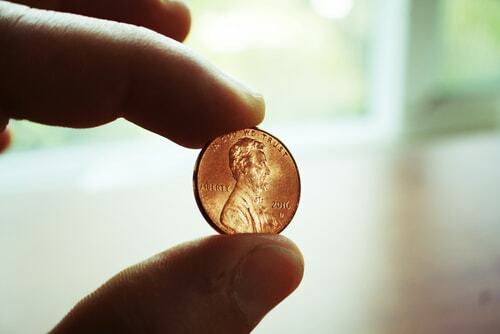 Nowadays very little of a penny is actually composed of copper: only around 2.5%, with the rest being zinc. And because of inflation, it used to be closer to the value of a quarter in terms of the things you could buy with it. Times have changed though, and the penny has lost a fair amount of its appeal and usefulness. Despite the ravages of tarnishing and wear, most pennies have an average lifespan of around 25 years, but it's not uncommon for people to simply throw them away these days. Still, the penny prevails and hopefully, this article has helped you find a new appreciation for one of our nation's oldest and most interesting coins. If you're interested in saving every penny you can, check out our tips on how to budget easily and effectively. If you're already in a challenging financial situation and need extra cash to deal with an emergency expense, consider whether title loans, might be the best option for your situation. They're fast and convenient and could put cash in your hands in as little as 30 minutes.